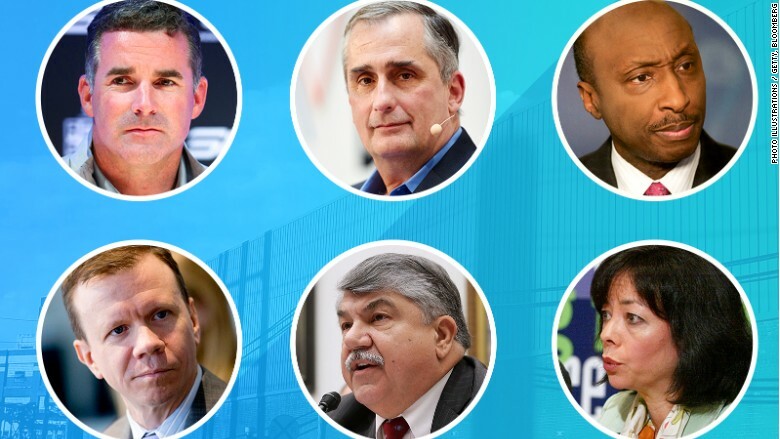 Quest: Are America's CEOs the new moral compass? Welcome to Quest's Profitable Moment. What's going on in the world of business -- and what does it mean? 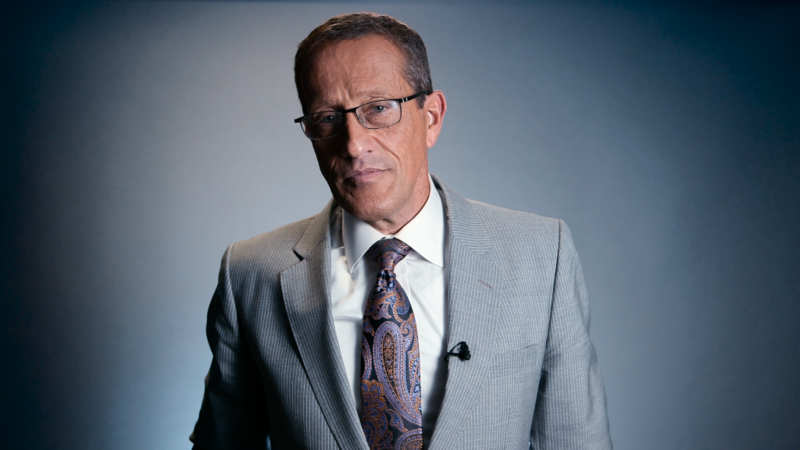 CNNMoney Editor at Large Richard Quest explains it all with his distinct voice and global perspective in an exclusive video each week. You'll also get a round-up of the stories everybody's talking about in the U.S., Asia and Europe. Sign up here for the newsletter version, which will arrive in your inbox every Thursday afternoon. Or read it online every Friday morning. As you read our first weekly edition, once again we are living in a moment of uncertainty, awaiting further details on the deadly attack in Barcelona, which has been confirmed as a terror attack. If so, it adds to a week where events in the U.S. have left us all reeling and wondering what on earth is going on in the White House. It seems there is a dearth of leadership wherever we look -- except perhaps with America's CEOs. Corporate America, it seems, has a new role: Be the alarm siren when it sees unacceptable behavior and injustice. 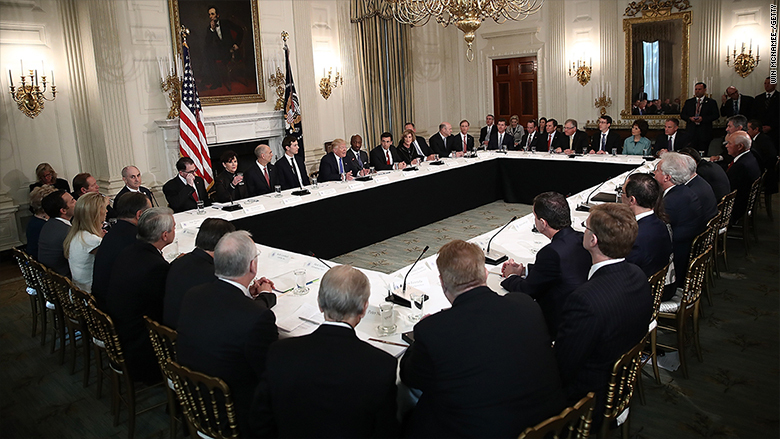 The CEOs on President Trump's advisory panels drove the criticism of his reaction to Charlottesville (both the initial Saturday statement and "that" press conference on Tuesday). There is some precedent to this. For instance, the North Carolina state legislature passed a bill requiring people to use the bathroom of their birth gender, not how they identified themselves. Companies like IBM and Salesforce complained the law would make the state less attractive for employees, while PayPal put an investment on hold. In Texas, 50 companies, including the nation's top oil firms, made exactly the same argument against a similar bathroom bill that died in special session this week. CEOs are a reticent lot when it comes to controversy. But they are also finding their companies on the wrong side as shareholders and employees want their company to take a stand on injustice. When activists start demanding boycotts of your goods, then companies start to listen -- just as when Fox News saw sponsors flee Bill O'Reilly after allegations of sexually improper behavior were made. O'Reilly was gone within weeks. Jamie Dimon, the CEO of JP Morgan Chase, said over Charlottsville: "It is a leader's role, in business or government, to bring people together." Because Dimon has over 240,000 employees and tens of millions of customers, he has a duty and responsibility to speak out. At the moment, Corporate America is threading its way through this minefield with relatively mild criticism of the president himself, but strong denunciation of right wing neo-Nazis. While the issue of racism is a no-brainer for CEOs to speak out against, the chief executive as a moral compass is a tricky path to follow. When do you speak out? When do you not? The corporate bully pulpit needs to be used sparingly otherwise you risk devaluing your moral currency and people stop listening. A van plowed into a crowd of pedestrians in Las Ramblas, one of Barcelona's most iconic areas. Spanish officials called it a terror attack. As of 4 p.m. ET Thursday, at least 12 people were killed and more than 50 are wounded. Local officials say the death count is "bound to rise." 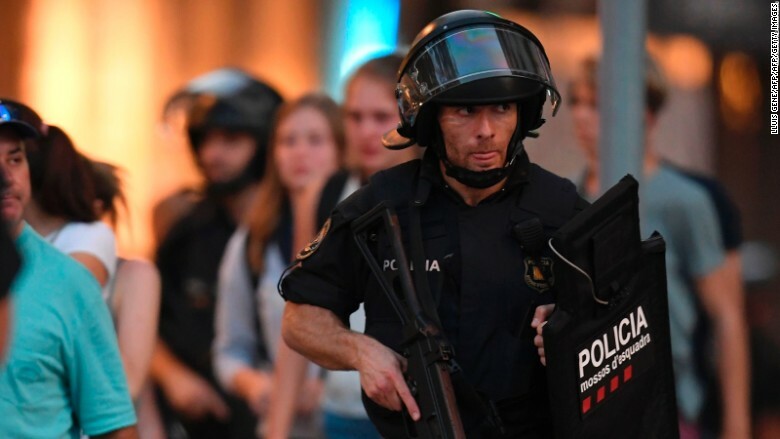 Two suspects have been arrested, though another driver later on Thursday evening ran over two Spanish police officers at a security checkpoint. Please follow CNN for more coverage. Blackstone's Stephen Schwarzman compared Trump to circus showman P.T. Barnum in 2015. Elon Musk said last year he didn't back Trump. But both joined business advisory groups set up by Trump. The councils were dissolved after Corporate America showed its disapproval of Trump's response to violence at a white supremacy rally in Charlottesville. More business titans are voicing their opposition, including Apple's Tim Cook and Howard Schultz of Starbucks. Another internet firm has dumped The Daily Stormer. A growing number of companies are refusing to provide the online infrastructure to support the neo-Nazi wesite after it published an inflammatory story about Heather Heyer, who was killed last weekend in Virginia at a violent rally of white supremacists. Internet firm Cloudflare said Wednesday that it had shut down The Daily Stormer's account and won't protect it from cyberattacks that could bring it down. Earlier this week, web-hosting services GoDaddy and Google gave The Daily Stormer the boot. Still, it's a matter of major debate. Jeff Bezos may have more to worry about than criticism from Trump. 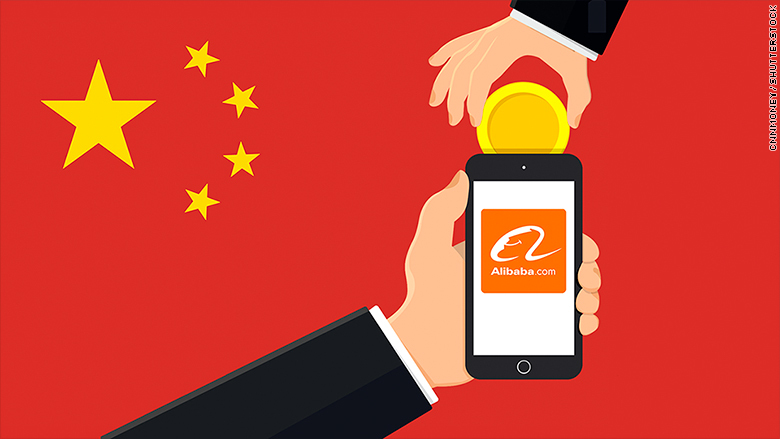 Amazon's Chinese rival Alibaba reported earnings and sales that were much better than forecasts. Alibaba's stock surged to a record high as a result. Jack Ma's e-commerce and cloud computing giant is now within distance of passing Amazon's market value for the first time since 2015. But both Amazon and Alibaba can't ignore Walmart and Target. They posted strong digital sales, too. Round 1 of NAFTA: Renegotiation started Wednesday and will conclude Sunday. The next round will be in Mexico, and more rounds are expected after that. Talks began after U.S. officials expressed deep disappointment in NAFTA while Canadian and Mexican officials touted the agreement's successes. Janet Yellen's fate: With six months left in her term, it's still unclear if President Trump will reappoint Yellen to another term as Chair of the Federal Reserve. It's also unknown whether Yellen even wants another term. She heads to the famous Jackson Hole Symposium next week, where she'll likely speak about the U.S. economy and monetary policy.